What's Included in Commercial Tree Service | Mr. Tree, Inc. Trees can provide great benefits for any home or property. They add natural beauty, enhance water and air quality, and even increase property value. Properties with trees are found to sell better and are worth about 15% more than those without. So, ultimately, taking care of the trees is an investment. However, this is a responsibility that can be easy to overlook. Not taking the time and energy for sufficient tree maintenance can lead to tree sickness, property damage, and an overgrown, unattractive look. If you have trees on your business or commercial property, you’ll want to look into consulting a commercial tree service for your landscaping needs. But what exactly does a commercial tree service provide? Let’s discuss further. Preemptively taking care of your trees ensures health and longevity and prevents you from having to pay for more tree service down the line. Pruning is especially helpful for fruit trees, as it makes sure they keep producing each season. Additionally, overgrown branches can make a tree too top-heavy or too heavy on one side. Pruning keeps this in check and is also a method for removing dying branches. Removing weak branches ahead of time avoids them falling off and causing damage. Tree trimming is done to provide an attractive look. Keeping trees well kept can be used to provide the perfect amount of sunlight. Some people make the mistake of assuming they can trim trees on their own, but it really is an art form and should definitely be done by a skilled technician. Unfortunately, sometimes trees just can’t be saved. If a tree is already mostly dead or decaying, the best option is likely to remove it. If any trees are diseased, you’ll want to take action to prevent it from spreading. You should also consider cutting down trees that are damaged or infested with pests. The tree removal process typically includes taking the tree down, cutting the wood into logs, and cutting the stump as close to the ground as possible. Damage on a tree isn’t always visible, so it can take an expert to determine whether or not a tree should come down. And hiring a professional commercial tree service with skilled technicians is the way to make sure there is as little risk during removal as possible. A service will have state-of-the-art equipment everyday homeowners and business owners simply don’t have access to. They’ll also know exactly which equipment to use, as it can depend on the state of the tree. If trees do fall over due to severe weather or decay, you obviously don’t want that on your property. You’ll want to take care of sitting logs to prevent the disease from spreading, or in case they are invaded by pests. You can trust Mr. Tree to provide the best log removal services in the Portland area, and at an affordable price, too. You may think a leftover stump can’t cause quite the same level of damage as a full-grown tree, but it can be plenty bothersome. First of all, leftover stumps serve no purpose; they are just an eyesore on your property. Stumps can also attract termites and other pests, and even obstruct proper drainage. They can also make lawn maintenance even more challenging as one has to traverse around the stump. Stump grinding is the use of machines to remove a stump from beneath the soil. It’s a great option if you want to plant a new tree in that space or simply remove a potential tripping hazard. You can have a stump removed right after a tree removal, or ask for stump grinding to take care of an old stump that’s been on the property for a while. Mr. Tree will also clean your landscape after removal, so your space will be as beautiful as ever. This is a service a lot of people look into when they don’t just have a few trees, but rather a surrounding forest. Logging is the process of cutting trees on your property and then transporting them to sell as timber or pulp. If you’re interested in this service, but only want unhealthy trees removed, trust the arborists at Mr. Tree. Arborists are able to determine which trees are healthy and which ones are unhealthy, as it’s not always easy to distinguish. Arborists can also assist with reforestation, forest thinning, clear-cutting, and controlled burning. Logging can be a dangerous and strenuous process, so it should absolutely be left up to the experts. 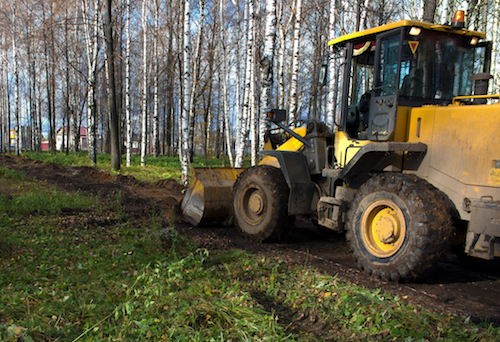 Lot clearing is recommended for those instances when trees are in the way of planned construction. Experts will know the best way to remove the trees and other vegetation for the space you need. They will also make sure the ground is level after clearing to prepare the land for impending construction. As you can see, there are a lot of available for the trees on your property. Often, a commercial tree service can provide beyond just the trees as well. For instance, Mr. Tree also offers excavation and demolition services. They have years of experience in both and can work on large and small projects. No matter what services you choose, allowing an expert with years of experience take the lead means you’ll get the best quality work and much-reduced risk. And you can count on a professional service not to leave a mess behind.